Autonomous vehicles can follow the general rules of American roads, recognizing traffic signals and lane markings, noticing crosswalks and other regular features of the streets. But they work only on well-marked roads that are carefully scanned and mapped in advance. Many paved roads, though, have faded paint, signs obscured behind trees and unusual intersections. In addition, 1.4 million miles of U.S. roads – one-third of the country's public roadways – are unpaved, with no on-road signals like lane markings or stop-here lines. That doesn't include miles of private roads, unpaved driveways or off-road trails. What's a rule-following autonomous car to do when the rules are unclear or nonexistent? And what are its passengers to do when they discover their vehicle can't get them where they're going? Most challenges in developing advanced technologies involve handling infrequent or uncommon situations, or events that require performance beyond a system's normal capabilities. That's definitely true for autonomous vehicles. Some on-road examples might be navigating construction zones, encountering a horse and buggy, or seeing graffiti that looks like a stop sign. Off-road, the possibilities include the full variety of the natural world, such as trees down over the road, flooding and large puddles – or even animals blocking the way. 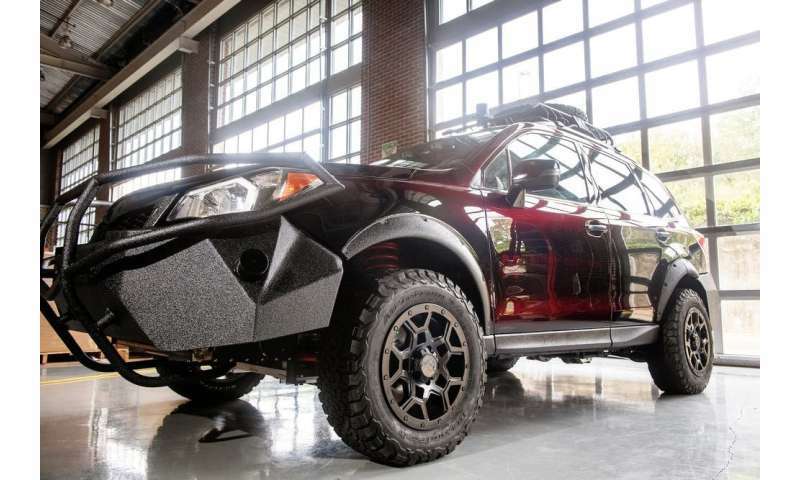 At Mississippi State University's Center for Advanced Vehicular Systems, we have taken up the challenge of training algorithms to respond to circumstances that almost never happen, are difficult to predict and are complex to create. We seek to put autonomous cars in the hardest possible scenario: driving in an area the car has no prior knowledge of, with no reliable infrastructure like road paint and traffic signs, and in an unknown environment where it's just as likely to see a cactus as a polar bear. Our work combines virtual technology and the real world. We create advanced simulations of lifelike outdoor scenes, which we use to train artificial intelligence algorithms to take a camera feed and classify what it sees, labeling trees, sky, open paths and potential obstacles. Then we transfer those algorithms to a purpose-built all-wheel-drive test vehicle and send it out on our dedicated off-road test track, where we can see how our algorithms work and collect more data to feed into our simulations. We have developed a simulator that can create a wide range of realistic outdoor scenes for vehicles to navigate through. The system generates a range of landscapes of different climates, like forests and deserts, and can show how plants, shrubs and trees grow over time. It can also simulate weather changes, sunlight and moonlight, and the accurate locations of 9,000 stars. The system also simulates the readings of sensors commonly used in autonomous vehicles, such as lidar and cameras. Those virtual sensors collect data that feeds into neural networks as valuable training data. Simulations are only as good as their portrayals of the real world. Mississippi State University has purchased 50 acres of land on which we are developing a test track for off-road autonomous vehicles. 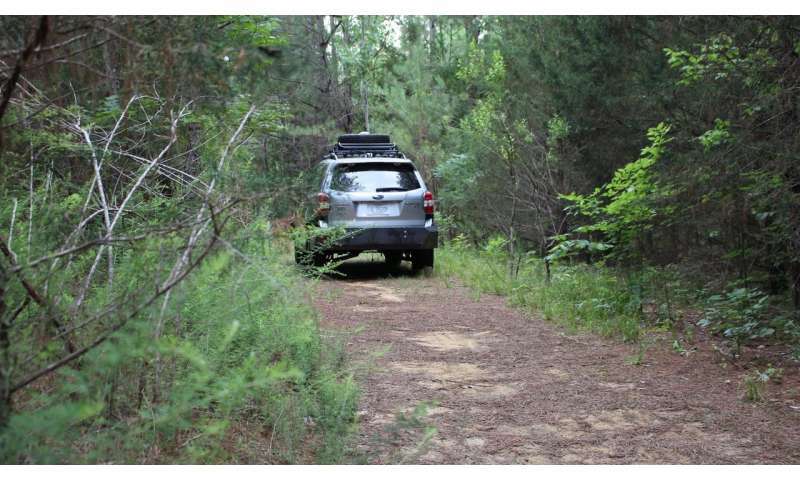 The property is excellent for off-road testing, with unusually steep grades for our area of Mississippi – up to 60 percent inclines – and a very diverse population of plants. We have selected certain natural features of this land that we expect will be particularly challenging for self-driving vehicles, and replicated them exactly in our simulator. That allows us to directly compare results from the simulation and real-life attempts to navigate the actual land. Eventually, we'll create similar real and virtual pairings of other types of landscapes to improve our vehicle's capabilities. We have also built a test vehicle, called the Halo Project, which has an electric motor and sensors and computers that can navigate various off-road environments. The Halo Project car has additional sensors to collect detailed data about its actual surroundings, which can help us build virtual environments to run new tests in. Two of its lidar sensors, for example, are mounted at intersecting angles on the front of the car so their beams sweep across the approaching ground. Together, they can provide information on how rough or smooth the surface is, as well as capturing readings from grass and other plants and items on the ground. We've seen some exciting early results from our research. For example, we have shown promising preliminary results that machine learning algorithms trained on simulated environments can be useful in the real world. As with most autonomous vehicle research, there is still a long way to go, but our hope is that the technologies we're developing for extreme cases will also help make autonomous vehicles more functional on today's roads.